"The camera should be used for a recording of life, for rendering the very substance and quintessence of the thing itself..."
"My work-purpose, my theme, can most clearly be stated as the recognition, recording and presentation of the interdependence, the relativity of all things - the universality of basic form . . . In a single day's work within a radius of a mile, I might discover and record the skeleton of a bird, a blossoming fruit tree, a cloud, a smokestack; each of these being only a part of the whole, but each - in itself - becoming a symbol of the whole, of life." "The formula for doing a good job in photography is to think like a poet." "The seeing eye is the important thing." "Our individual tendencies are encouraged; the Group Exhibits suggest distinctive individual view-points, technical and emotional, achieved without departure from the simplest aspects of straight photographic procedure." "the world is falling to pieces and all Adams and Weston photograph is rocks and trees"
When talking specifically about Straight Photography, it is probably fair to say that, with regard to the Stieglitz and Strand relationship, the pupil had surpassed his master. Strand drew inspiration from the formalist and Cubist paintings of Cézanne, Braque and Picasso, becoming somewhat fixated on the idea that the photographic plane could, like the Cubist canvas, be broken down compositionally into geometric shapes. 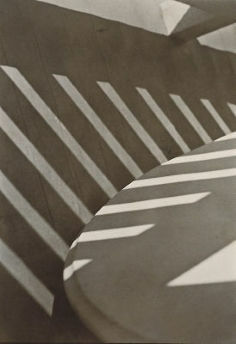 Strand's early abstract series, published in Camera Works in 1917, merely confirmed him as the leader of the new movement of Straight Photography. However, by the time Group f/64 was formed, Strand had moved towards documentary photography and socio-realism which he blended with his inclination for abstraction. Members of Group f/64 were not bound by overtly political ideals, stating in their manifesto that the Group believed in "photography, as an art form" and as such it "must develop along lines defined by the actualities and limitations of the photographic medium." Indeed, the Group declared that Straight Photography "must always remain independent of ideological conventions of art and aesthetics that are reminiscent of a period and culture antedating the growth of the medium itself." By the 1920s Pictorialism had declined on the East Coast and in Europe but remained popular in other regions of the United States, including on the West Coast and in the Bay Area. The tide was turning however, and in the winter of 1932 eleven (Straight) West Coast photographers gathered at San Francisco's M. H. de Young Memorial Museum for an announcement. Strongly supported by Lloyd Rollins, the museum's new director, the collective announced the formation of their ensemble. The Group was made up of: Ansel Adams, Imogen Cunningham, John Paul Edwards, Preston Holder, Consuelo Kanaga, Alma Lavenson, Sonya Noskowiak, Henry Swift, Willard Van Dyke, Brett Weston and Edward Weston (Bret's father). 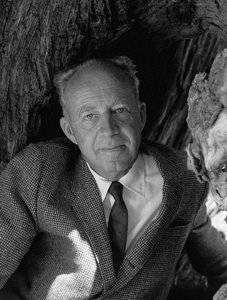 Imogen Cunningham's Willard Van Dyke (1963) shows Van Dyke at the time he was known as a filmmaker, while evoking his earlier involvement in Group f/64 by framing him against a weathered tree. Though an artistic collective, Willard Van Dyke played a leading role as spokesperson for Group f/64. Having already worked under Edward Weston, Van Dyke became an assistant for the noted Pictorialist Anne Brigman whose studio was located in a converted barn at 683 Brockhurst Street, San Francisco. In 1930, when Brigman moved away, Van Dyke and Mary Jeanette Edwards took over the studio from where they launched gallery 683. As Van Dyke recalled, the gallery was both a way to create "an atmosphere on the West Coast that could be useful to Western artists," and a way of "thumbing our nose at the New York people who didn't know us." Indeed, Van Dyke and Edwards named the gallery as an ironic challenge to Stieglitz's influential 291 gallery. In 1931, at the University of California at Berkeley, Van Dyke met Preston Holder who had admired some of Van Dyke's photographs on display at a local bookstore. The two men became close friends and colleagues, and, during a long afternoon discussion, Holder suggested forming a group of Bay Area photographers. Van Dyke wrote later, "I was excited about the idea; it appeared to me that this would provide an opportunity to make a strong group statement about our work [...] I, for one, felt that it was time for the Eastern establishment to acknowledge our existence." In 1931, Van Dyke held a party at 638 in honor of Weston, whose photographs were being shown at San Francisco's M.H. de Young Memorial Museum. The guests included Adams, Noskowiak, Cunningham, Edwards, and Swift. Van Dyke recalled their historical meeting as follows: "I presented the idea of our working together. I said besides that I've got a wonderful name for it, U.S. 256 [after the old rapid rectilinear lens that Weston used to get the maximum depth of field and to make his negatives appear sharper]. Well there was this kind of blank look around the room and then Ansel [Adams] who was the scholar of the group, said, 'Oh, you mean in the uniform system 256 equals f 64. But don't you think f 64 would be a better name. Nobody is going to be using the uniform system much longer and besides that beautiful f followed by a 6 and 4, and he drew it out, like that and you could suddenly see the cover of the catalogue or the announcement and the graphics were there and Ansel won." 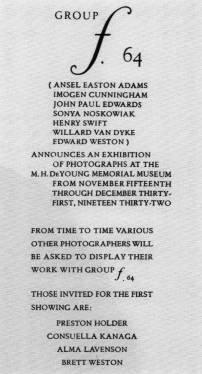 Announcement of Group f.64 exhibition at the M. H. de Young Memorial Museum, November 1932. From Seeing Straight: The f.64 Revolution in Photography edited by Therese Thau Heyman. On November 15, 1932, Group f/64 (the "/" between letter (f) and number (64) soon replaced the "." without ceremony or ado) made its public debut at the M.H. de Young Museum. The show, which concurred with the publication of Weston's The Art of Edward Weston (and was available for signing at the exhibit) included nine photographs each by core members, Adams, Cunningham, Weston, Edwards, Noskowiak, Swift, and Van Dyke, and four each by "invited" members Holder, Kanaga, Brett Weston and Lavenson. In its glowing review of the exhibition, The San Francisco Chronicle praised the "beautiful work on view [....] These photographers, like other talented brethren of the lens, are admirable portrait artists, imaginative creators of abstract patterns, who look for charm in boats, in scenery, in every small growing thing that is nourished at the bosom of Mother Earth." The Group f/64 manifesto, written by Van Dyke and unveiled at the exhibition, featured a number of recommendations in support of what it called "qualities of clearness and definition." The manifesto also stressed that the objective of the Group was to promote "the best contemporary photography of the West" and that, in addition to work by its members, Group f/64 exhibitions would "include prints from other photographers who evidence tendencies in their work similar to that of the Group." It continued that the Group would limit "its members and invitational names to those workers who are striving to define photography as an art form by simple and direct presentation through purely photographic methods." The exhibition travelled to the Seattle Museum of Arts, Portland Museum of Art, and also showed locally at Mills College, 683 Gallery, Adams's Geary Street gallery, and the Denny-Watrous Gallery in Carmel. Art historian Therese Heyman summed up the overall impact of the show thus: "Seen together, the images established a varied but singular point of view. For the most part objects were seen closely, framed by the sky or similarly neutral backgrounds. Nothing was moving, and there was a great deal of attention to the finely detailed surface textures of the subjects [...] The subjects were ordinary in the sense that they were encountered frequently, yet most had a commanding presence when photographed." Art critic Sigismund Blumann reviewed the exhibition for Camera Craft in May 1933. Blumann was a committed Pictorialist and had attended the show with a degree of scepticism. However, the exhibition changed his preconceptions: "The Group is creating a place for photographic freedom" he enthused. Before Blumann's intervention, Camera Craft had been closely associated with West Coast Pictorialism, exemplified by the likes of William Mortenson. Mortenson had become known initially for his soft focus, staged portraits of Hollywood celebrities, but by the 1930s he was creating macabre and scandalous composites (such as L'Amour (1935)). Following Blumann's unexpected praise for the f/64 exhibition, Mortenson, who categorically denounced Group f/64, and their pursuit of a pure realism as leading up a "blind alley," engaged Adams in contentious exchanges in the 1933-1935 issues of the magazine. Deriding Mortenson's work for its dated Pictorialism and its salacious worldview, Adams, assuming to speak on behalf of Group f/64 as a whole, was vitriolic in his criticism, calling Mortenson the "Anti-Christ" and suggesting that he should perhaps "negotiate oblivion." As far as Camera Craft was concerned, Adams would win the day, and in 1934 he was invited to write a number of articles for the magazine with the result that Group f/64 had usurped Pictorialism as the leading West Coast movement. 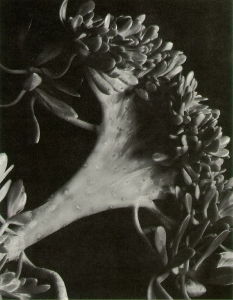 Succulent (1920), an early example of Imogen Cunningham's use of close and sharp focus, was included in the 1932 Group f/64 exhibition. Though Group f/64 was a collective, three individuals in particular, Imogen Cunningham, Edward Weston and Ansel Adams, helped shape the pantheon of 20th-century American photographers. Moving from Oregon to the Bay Area in 1920, Cunningham became an early pioneer of West Coast Straight Photography. The Pictorialist Gertrude Käsebier had been an important influence on her earliest work, but, while on a visit to the East Coast, she made the acquaintance of Stieglitz and Strand. Their commitment to Straight Photography had a marked impact on her own practice and nowhere is this more evident than in her striking 1920 abstraction Mills College Amphitheater. Cunningham's vocational and personal circumstances were such however - she was a wife and mother to three young children, and she came from a scientific background in botany - that she was drawn to photograph botanical specimens available in her own garden, producing a remarkable series of magnolias between 1922-1925. By the time Group f/64 was formed, Weston was already well known for his art and his outspoken views on Pictorialism (as such, he was often seen as the group's talisman). Like Cunningham, Weston had turned his back on Pictorialism in the early 1920s and his career only started to take shape when he moved from Chicago to California (via a short spell in Mexico) around the same time. Weston's high-resolution photographs of organic forms and modern marvels encouraged spectators to consider the essence of mundane objects and to look afresh at what was familiar. As he said, "The camera should be used for a recording of life, for rendering the very substance and quintessence of the thing itself, whether it be polished steel or palpitating flesh." Adams, a renowned landscapist, met Weston in 1927 and Paul Strand in 1930, both of whom excelled at the modern photographic still life. Although he was critical of Weston's extreme close-up photographs of objects (including his famous Pepper (1930)) Adams had been impressed by Strand's use of Straight Photography to bring out new aspects in inanimate objects. It was through Strand indeed that Adams began to understand that Straight Photography could stand as an expressive art form in its own right. Adams had already received some measure of success as a photographer, but following his meeting with Strand, he discarded altogether soft focus and textured paper, and began working with a smooth, glossy paper that enabled the sharp detail he now strived for. Speaking in Weston's defence in a 1933 issue of Creative Art, however, Adams praised his fearless colleague because he "dared more than the legion of brittle sophisticates and polished romanticists ever dreamed." Photography has played a decisive role in Californian culture since the days of the Gold Rush of 1848, and though Straight Photography was a practice associated with almost any photographer who denounced Pictorialism (including Alfred Stieglitz, László Moholy-Nagy, Manuel Alvarez, Berenice Abbott, Walker Evans and Robert Capa), Group f/64 were in fact a close-knit cadre of West Coast photographers in debt to their unique Californian environment. The Group's search for aesthetic purity meant that they were well served by their natural landscape (they were in close proximity to mountains, the ocean and deserts) and a sunny and often cloudless climate that enabled their search for aesthetic effects through natural light sources to eliminate the need for unnecessary post-processing. As art historian Therese Thau Heyman observed "Light was the only legitimate medium for photography, and much of the success of an artist photographer lay in controlling it. [And in] the West, light meant sunlight." Adams clearly saw Group f/64 as being concomitant with the ideology of Bay Area liberalism when describing it as "an organization of serious photographers without formal ritual of procedure, incorporation, or any of the limiting restrictions of artistic secret societies, Salons, clubs or cliques." These sentiments also sat well within the Golden State's progressive cosmopolitan culture that grew out of the arrival of the estimated 300,000 'forty-niners," many of them immigrants, in search of gold (in 1849). Indeed, Adams extended the Group's invitation to "any photographer who in the mutual favorable opinion of all of us, evidences a serious attitude, a good straight photographic technique, and an approach that is basically contemporary." He appended this invitation with the gentle caution however: "friendly but frank disagreements exist among us" (a coded reference, perhaps, to his professional relationship with Weston). While others (no one more so in fact than the father of Straight Photography himself, Paul Strand) had turned away from pure abstraction in the name of New Politics, Weston remained steadfast in his commitment to the pursuit of a pure beauty. The American nation was trying to rebuild after the financial crash and critics had begun to question the very premise of fine art. Members of Group f/64 were thus criticized for failing to consider economic or social problems (the implication being that they were self-absorbed "artistes"). Weston observed as early as 1932 that there were "'right thinkers' who would have preferred that art function as a missionary to improve sanitary conditions" while adding a year later that he remained "'old fashioned' enough to believe that beauty - whether in art or nature, exists as an end in itself." Indeed, Weston did nothing to distract from the criticism when he concluded by saying that he could not "see why nature must be considered strictly utilitarian when she bedecks herself in gorgeous color [and] assumes magnificent forms." In 1935, Group f/64 came to an end as a movement. Van Dyke moved to New York, gallery 683 was sold, Cunningham began working for Vanity Fair, and Weston moved to Santa Barbara. As the effects of the Great Depression wore on, the art movement Social Realism gained traction. Straight Photography often served the cause of Social Realism as photographers, such as Dorothea Lange and Walker Evans became celebrated for their searing images of the Great Depression's human cost. Lange, who lived in San Francisco, was in fact invited to join Group f/64 but she turned the offer down. Indeed, Lange's images moved Van Dyke to such an extent he abandoned still photography altogether in favor of filmed documentary which he felt offered more possibilities for social change. However, Weston and Adams continued developing their own practice of Straight Photography in the following decades, and Group f/64 had a lasting impact on Californian art institutions. Influenced by the de Young exhibition, arts administrator Ted Spencer recruited Adams in 1945 to develop a photography department at the California School of Fine Arts, already known for its prestigious painting faculty through which Mark Rothko, Clyfford Still and Elmer Bischoff had passed. 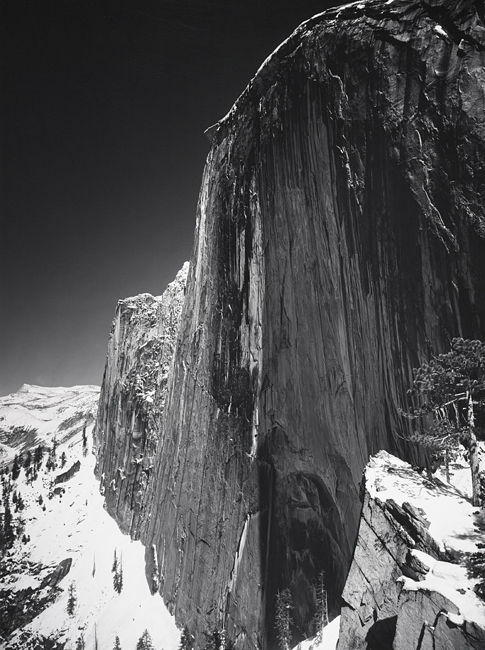 Adams became a noted teacher, influencing the photographers Minor White, Frederick Sommers, and subsequent photographers including Harry Callahan. Weston's work influenced Paul Caponigro, Wynn Bullock, and his son Brett Weston, and later photographers including Aaron Siskind, Jan Groover, and Ray Metzker. Group f/64's emphasis on the sharply focused close-up and the formal elements of the image remained fundamental to the development of Abstract Photography generally. At the same time, the Group's images remain widely popular, culturally specific, and established a lasting tradition in still life and landscape photography throughout the United States.